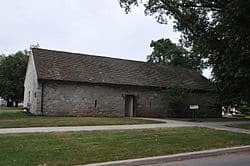 Hessian Powder Magazine, also known as the Hessian Guardhouse Museum, is a historic guardhouse and gunpowder magazine located on the grounds of Carlisle Barracks at Carlisle, Cumberland County, Pennsylvania. 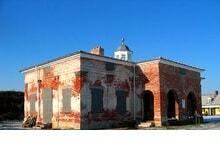 It was built in 1777, and is a stone walled structure, lined with interior brick. It measures 70 feet by 32 feet and the walls are 4 1/2-feet thick. It has a vaulted stone roof, covered by timbers and tin to take a gable form. 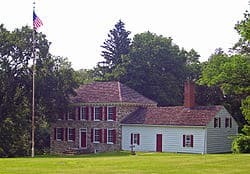 Tradition says that some Hessian Prisoners of war, captured at Trenton were sent to Carlisle. They were used to build this guard house, originally a magazine. It was probably first used as a guardhouse in the 1870s and when included as part of the Carlisle Indian Industrial School (1879–1918). Afterwards, it was used as a quartermaster and medical supply storehouse, filmstrip laboratory, message center, and U.S. post office. It was designated a museum in 1948. 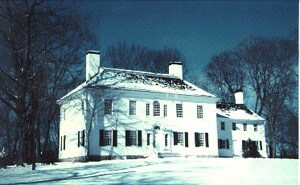 It was added to the National Register of Historic Places in 1974.